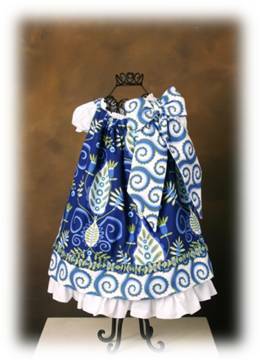 "Sew Girly" Dress or Jumper PDF Pattern. 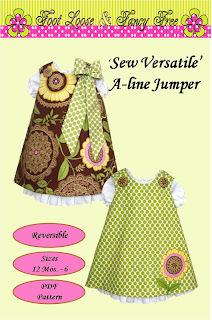 "Sew Versatile" Reversible A-line Jumper PDF Pattern. 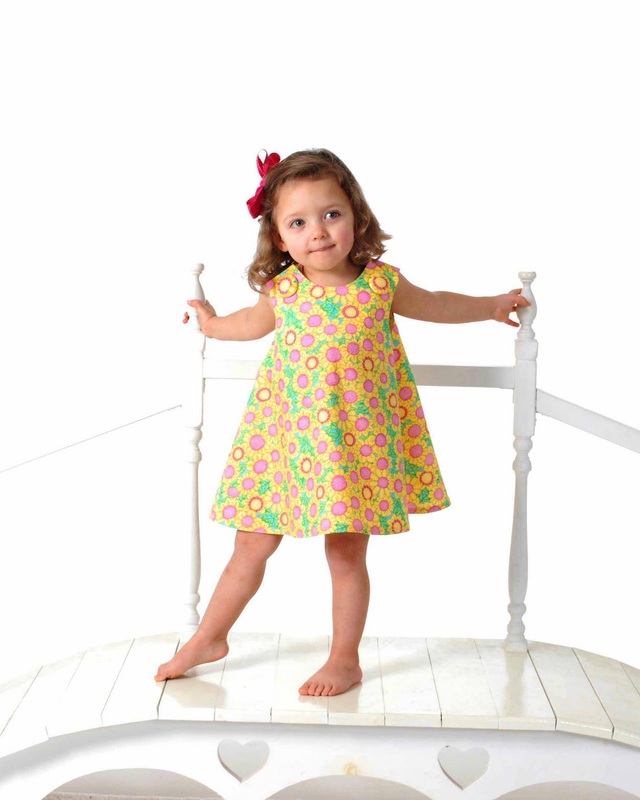 You can make it reversible with the snap on buttons or you can just simply line it for a quick new outfit. 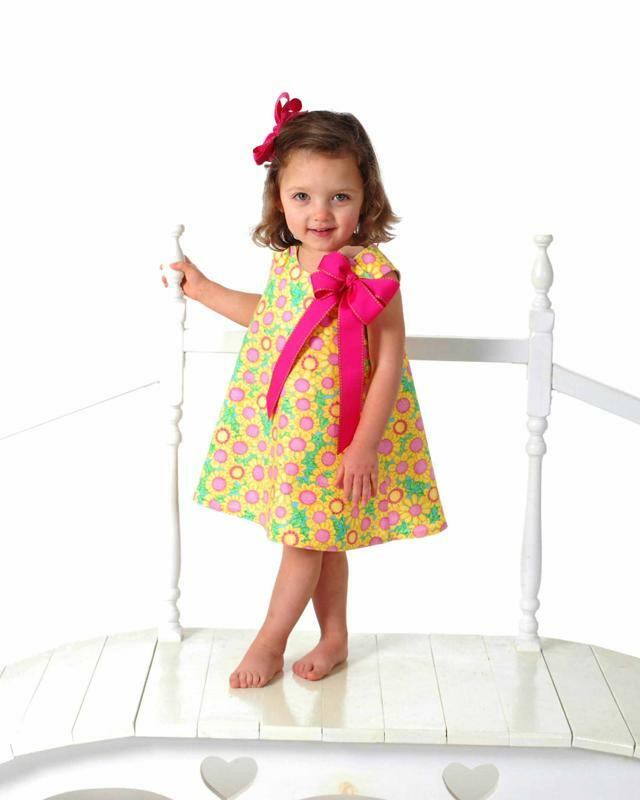 Perfect for monogramming as in the Cookie Monster dress. 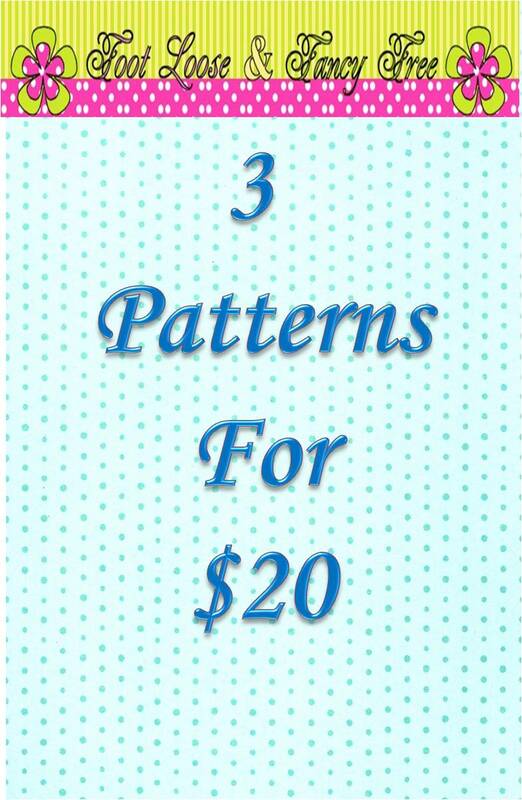 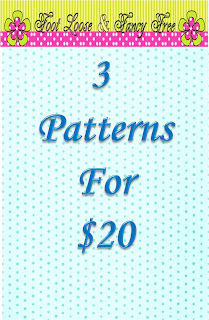 Only your imagination limits you as to what you can create with this versatile pattern. 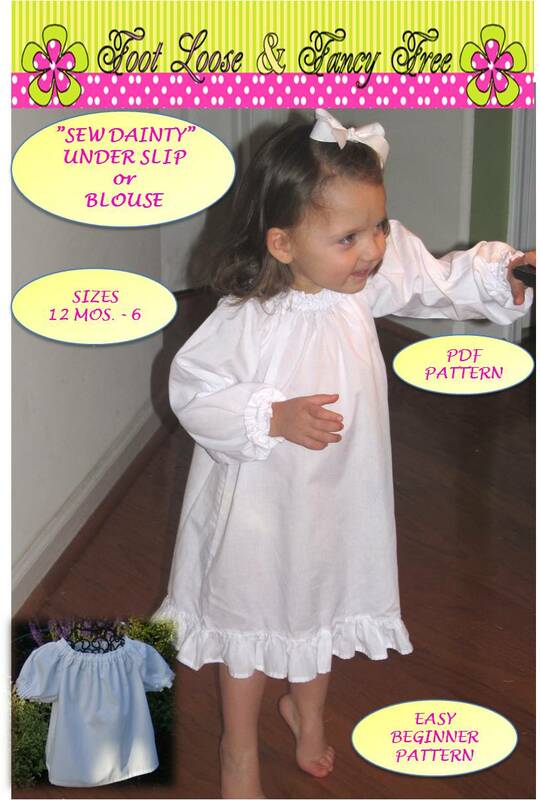 "Sew Dainty" Under Slip and Peasant Blouse PDF pattern.